Ms. Dianne Hendrickson, a.k.a. Lady Wonder, bounced into the world, crying musical notes on August, 1st, 1960. The first daughter and child of Mr. & Mrs. Anthony Hendrickson, veteran Calypsonian, All Rounder. For thirty (30) years (1979 to present), Lady Wonder has persistently and consistently made an outstanding annual contribution to the Calypso Artform and World Stage. With hits such as “Granny’s Prediction”, “Black People Wake Up”, “Women Get Up And Get”, “Look Wey It Is”, “Go Ahead”, and “Calypso Pledge”, “Ah done Pay Meh Dues” and “the Choice Is Yours” to name a few. 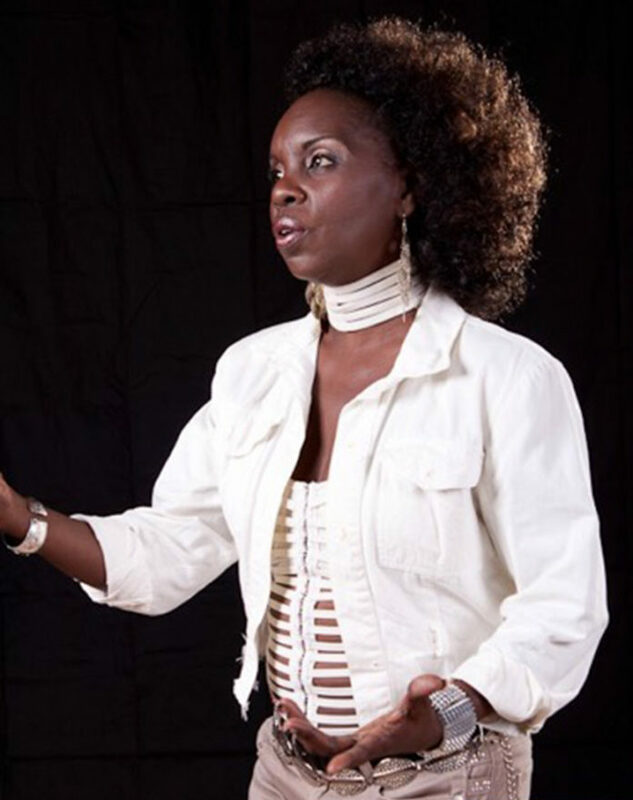 Lady Wonder has represented Trinidad and Tobago at the World Calypso and Soca Monarch Competitions in Connecticut, U.S.A.
A successful recording Artiste having produced Albums and Compact Discs. Since 1989, Lady Wonder has traveled extensively throughout the Caribbean, U.S. Virgin Islands, North America and Europe especially as a Contract Performer in Germany and Norway. Through the years Lady Wonder has maintained consistency and respect in the calypso fraternity. For 2014, Lady Wonder thrilled the audiences with her social commentary, penned by her sister Shirlane Hendrickson, entitled, “Do Something Positive”. In 2015, Shirlane again penned “Get Rid Of Them Mockers”, which earned her a place at the Semi- Finals at Skinner Park. For the 2016 season, Lady Wonder had been blazing the stage at the Klassic Ruso Calypso Tent with Shirlane’s composition entitled “Nation Building”. She had earned a place as one of the Semi- Finalists at TUCO’s National Calypso Monarch Semi-Finals Competition at Skinner Park. Once again, Lady Wonder earned a place in the 2017 National Calypso Monarch Semi-Finals with Shirlane’s composition entitled, “Life is a Sacrifice”. As Lady Wonder keeps striving to cross cultural borders and stretch the seams of her culture globally, we tip our hats to her cultural commitment and to quote her “ish heur nemals oft mit dem Kaiso ! !”, which means in German She will never stop singing Kaiso!! We are honoured to have Lady Wonder join us for the First Ever Annual Caribbean Female Calypso Competition where she will represent Trinidad and Tobago which is to be held right here in Nevis at the Cultural Complex on July 31st as part of our Culturama Celebrations for the 43rd year with music being provided by Legends Band and MCed by Sandra B and Tommy Joseph from Trinidad.